Enjoy watching Vocabulary Videos while learning English Vocabulary with these free ESL, EFL videos for students from preschool to 3rd grade. Teach your kids Vocabulary with these videos. Watch and learn Actions Vocabulary with this free ESL, EFL Vocabulary video for kids. Watch and learn Adjective Vocabulary with this free ESL, EFL Vocabulary video for kids. 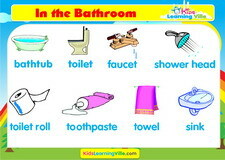 Watch and learn Bathroom Vocabulary with this free ESL, EFL Vocabulary video for kids. 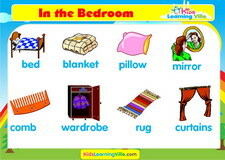 Watch and learn Bedroom Vocabulary with this free ESL, EFL Vocabulary video for kids. 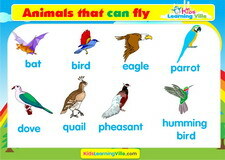 Watch and learn Birds Vocabulary with this free ESL, EFL Vocabulary video for kids. Watch and learn Body Vocabulary with this free ESL, EFL Vocabulary video for kids. Watch and learn Christmas Vocabulary with this free ESL, EFL Vocabulary video for kids. Watch and learn Clothes Vocabulary with this free ESL, EFL Vocabulary video for kids. 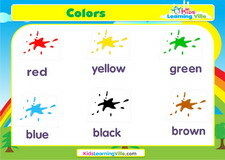 Watch and learn Colors Vocabulary with this free ESL, EFL Vocabulary video for kids. 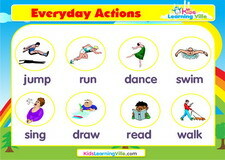 Watch and learn Daily actions Vocabulary with this free ESL, EFL Vocabulary video for kids. Watch and learn Drinks Vocabulary with this free ESL, EFL Vocabulary video for kids. 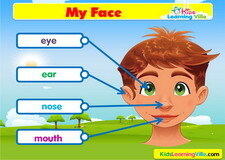 Watch and learn Face Vocabulary with this free ESL, EFL Vocabulary video for kids. 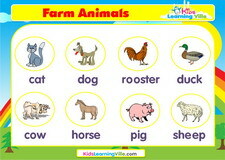 Watch and learn Farm animals Vocabulary with this free ESL, EFL Vocabulary video for kids. Watch and learn Food Vocabulary with this free ESL, EFL Vocabulary video for kids. Watch and learn Fruits Vocabulary with this free ESL, EFL Vocabulary video for kids. 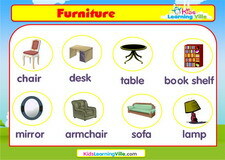 Watch and learn Furniture Vocabulary with this free ESL, EFL Vocabulary video for kids. Watch and learn Halloween Vocabulary with this free ESL, EFL Vocabulary video for kids. 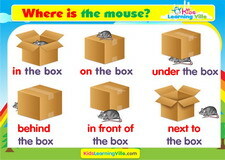 Watch and learn In, on, under, where Vocabulary with this free ESL, EFL Vocabulary video for kids. 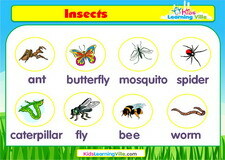 Watch and learn Insects Vocabulary with this free ESL, EFL Vocabulary video for kids. Watch and learn Jobs Vocabulary with this free ESL, EFL Vocabulary video for kids. 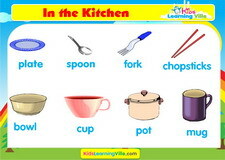 Watch and learn Kitchen Vocabulary with this free ESL, EFL Vocabulary video for kids. 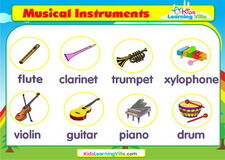 Watch and learn Music Vocabulary with this free ESL, EFL Vocabulary video for kids. 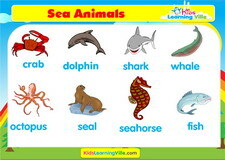 Watch and learn Sea animals Vocabulary with this free ESL, EFL Vocabulary video for kids. 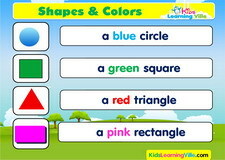 Watch and learn Shapes Vocabulary with this free ESL, EFL Vocabulary video for kids. Watch and learn Sports Vocabulary with this free ESL, EFL Vocabulary video for kids. 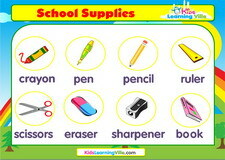 Watch and learn Stationery school supplies Vocabulary with this free ESL, EFL Vocabulary video for kids. Watch and learn Time half past Vocabulary with this free ESL, EFL Vocabulary video for kids. 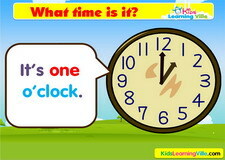 Watch and learn Time oclock Vocabulary with this free ESL, EFL Vocabulary video for kids. 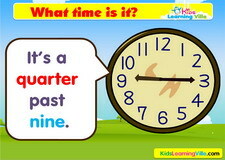 Watch and learn Time quarter to Vocabulary with this free ESL, EFL Vocabulary video for kids. 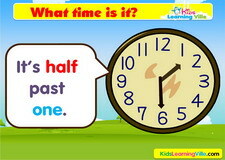 Watch and learn Time quarter past Vocabulary with this free ESL, EFL Vocabulary video for kids. Watch and learn Transportation Vocabulary with this free ESL, EFL Vocabulary video for kids. 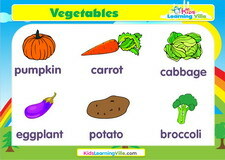 Watch and learn Vegetables Vocabulary with this free ESL, EFL Vocabulary video for kids. 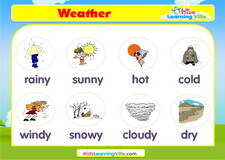 Watch and learn Weather Vocabulary with this free ESL, EFL Vocabulary video for kids. 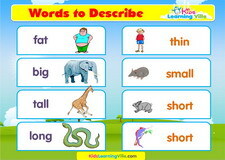 Watch and learn Zoo animals Vocabulary with this free ESL, EFL Vocabulary video for kids.